Apartments are sunny and comfortable, located in Matice Hrvatske 82 in Split 10 minutes by walk from Diocletian palace and 500 m away from the most famous sandy beach in Split, where you can enjoy various kind of facilities during all day and till late in the night such as restaurant, cafe and night club or fitness centre. Parking places and garage are available in the front of the house. The suites are very comfortable with a space of 80 sqm, with two double and one single room, bathroom, fully equiped kitchen and living room with all modern conveniences. The apartments are for max. 6-8 people and provides all the comforts of home including conditioning/heating, TV. 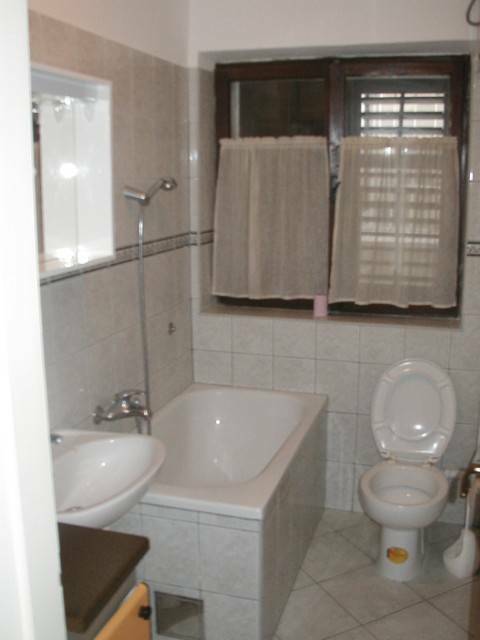 Bathroom(s) are with WC and bath or shower. 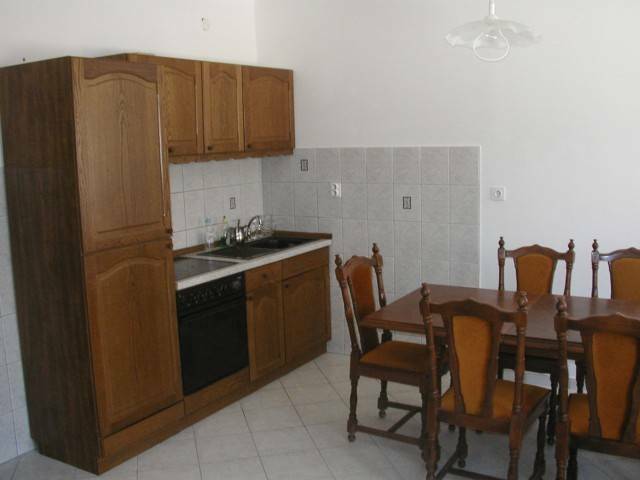 Although apartments are for 5 or more persons, we accept 3-4 persons at these apartments. For longer period we take a discount. When you are approaching to Split, please follow the signs straight to the harbour-ferry, not to the centre because easier for driving. From Solin (little city, 5km north of Split) drive through Zbora Narodne Garde street straight to harbour and turn right to Poljicka Cesta street. Then drive straight and at 4. traffic lights beside hospital Krizine turn right in Bruna Busica and at second traffic lights turn left. 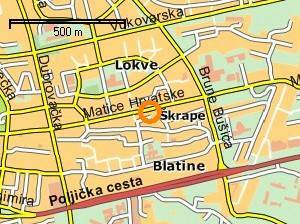 You are now in Matice Hrvatske Street and drive about 300 m to house Rodic at number 82 beside restaurant «Angelo». Family Rodic waiting for you. If you want us to pick you up from the airport, please let us know in advance the flight number and arrive time by e-mail.